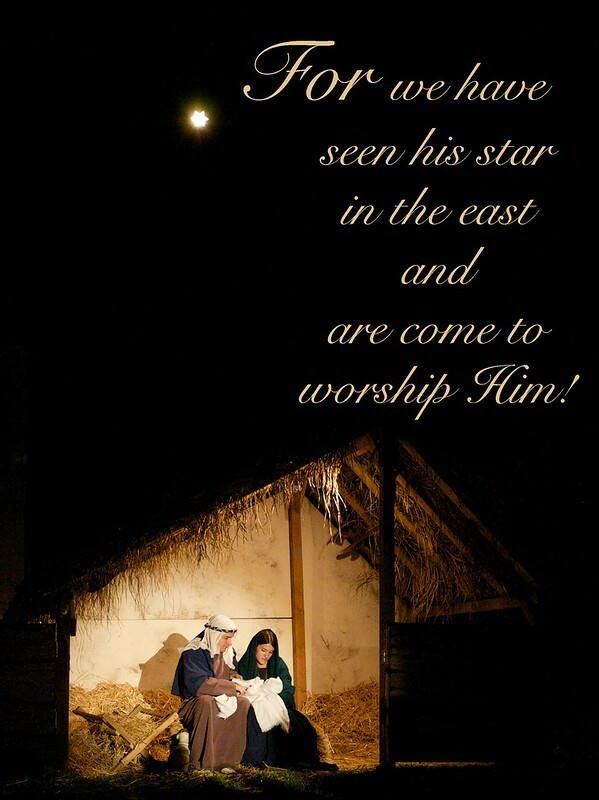 Okay, it was a reenactment my church did as part of a Living Nativity. It was a beautiful production. It was quite the week- highs and lows. Did you realize Christmas is less than two weeks away! What do you do to help yourself stay present and enjoy the moment? So nice that you're still able to find things to smile about at such a tragic time for your community. What a difficult time, and so close to Christmas. Sending you love & strength! I think its great that the kids were included in honoring their classmate. Its hard to wrap our heads around death and tragedy and so many times kids aren't a part of the dealing process and it makes it difficult for them to try to deal with the emotions surrounding it. I'm also dying to know your word for next year is...and very grateful that you omitted the throw up pic. 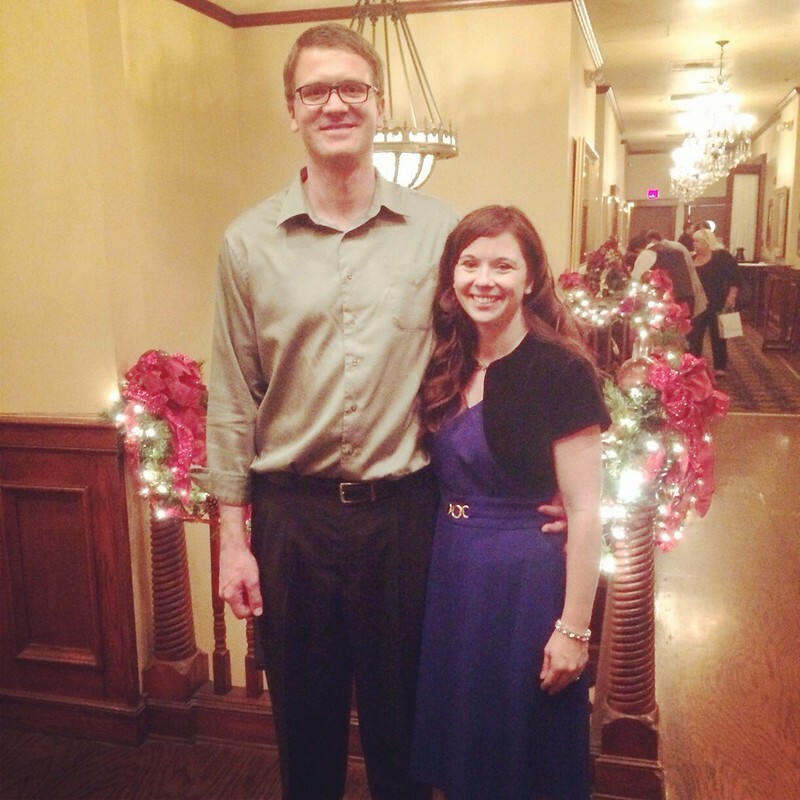 Wow, I had NO idea your hubby was that much taller than you! 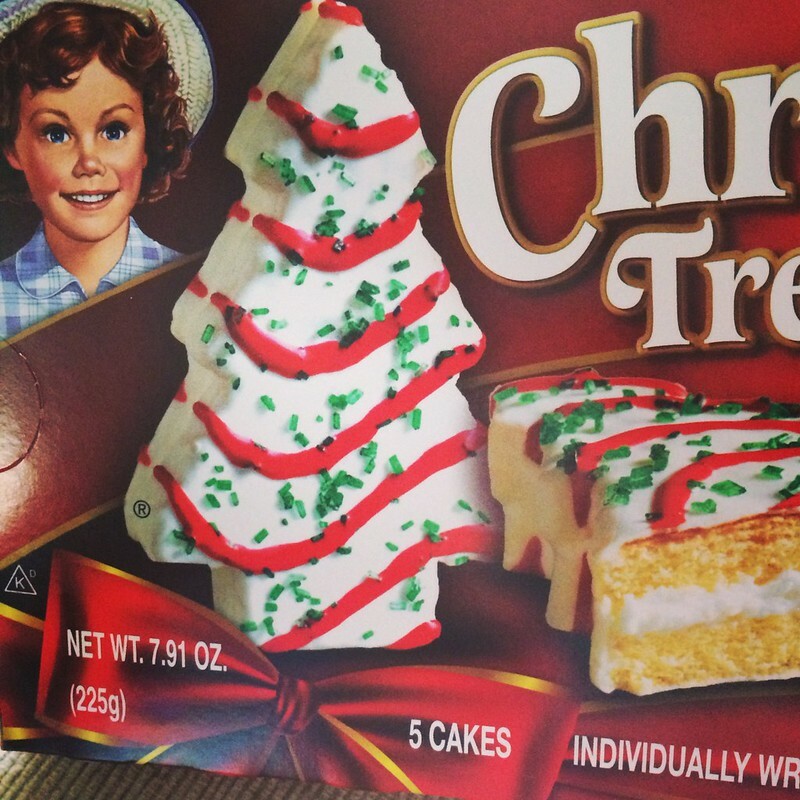 I forgot about those little Christmas tree snacks. I loved those as a little girl... :) And yes, Christmas is RIGHT around the corner already! WOAH! Thanks for no pic on the gross one! My mom used to buy those treats at Christmas. Yum! I still love those Little Debbies. I don't care what they say about them! Ahhh!! I used to love those Little Debbie Cakes. I need to make sure to get some this year! That last picture is so incredibly moving. Love the dress you wore to the Christmas party - you look beautiful! I have a serious weakness for those Little Debbie Cakes. I love choosing "one little word" each year - can't believe it's that time already. Guess I had better put on my thinking cap. Hope you have a good weekend! Love your dress you wore! It's a challenge to think of ways to extend myself at this time of year, but I'm determined to do it! Wow, busy week - just like mine. What a great Nativity scene, those are always fun. I never tire of your pictures and posts! Looking forward to your Christmas picture!! That first picture is gorgeous!!! I think it's sweet that Lucas still lets you cut his sandwiches in a heart! Although, it's probably just so he doesn't have to eat the crust... ;o) Kidding!! Have one of those Little Debbies for me, okay? Thank you! I took that, I was happy with how they turned out, especially since I had to stay far away and was shooting at night without a flash a lot of the time. 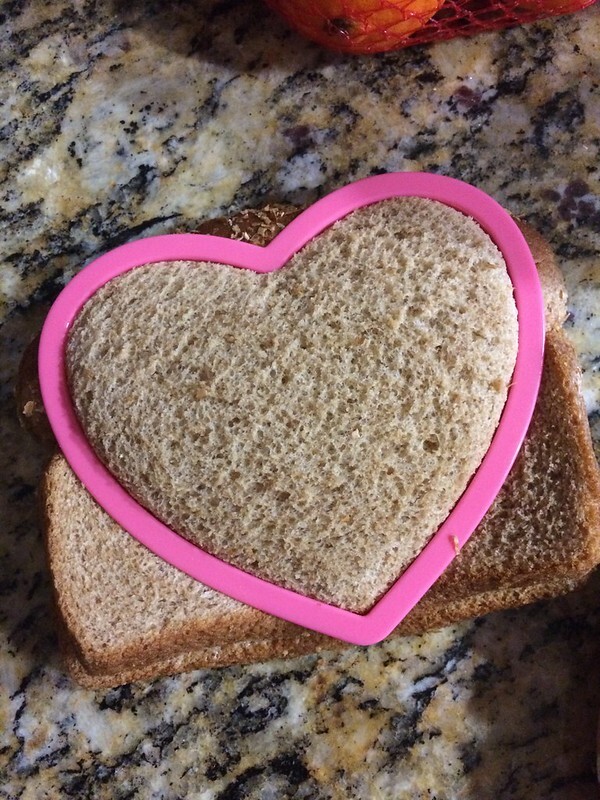 awww love the sandwich heart. I need to get one of those for Match's sandwiches, hehe. Mhmm, Christmas treats. I think I need to get started on some baking. You and your hubby look so cute! Love an excuse to get dolled up. I wish my Hubs had a Christmas party we could go to! I need to bake too, have not done any yet and Christmas is next week! How in the world did that happen?? You have been busy! I hope you and your family have a wonderful holiday season! Thank you! Yes, I feel like I am barely staying on top of everything. Love this post-- thanks for not sharing the vomit picture. You and your hubs look so cute together. I can't get over how tall he is! 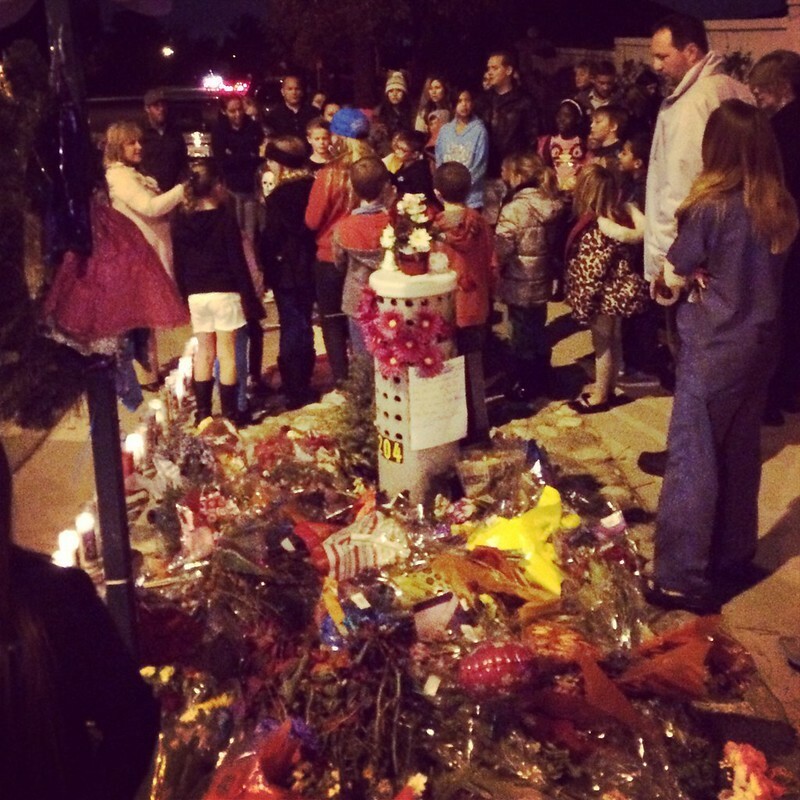 Sad for the tragedy but so glad so many people were there to pay tribute. Thanks! Yes, I didn’t even take any vomit pictures, as really who wants to see that. I pretty much always forget how tall Eric is until I see pictures of us or just other random moments.